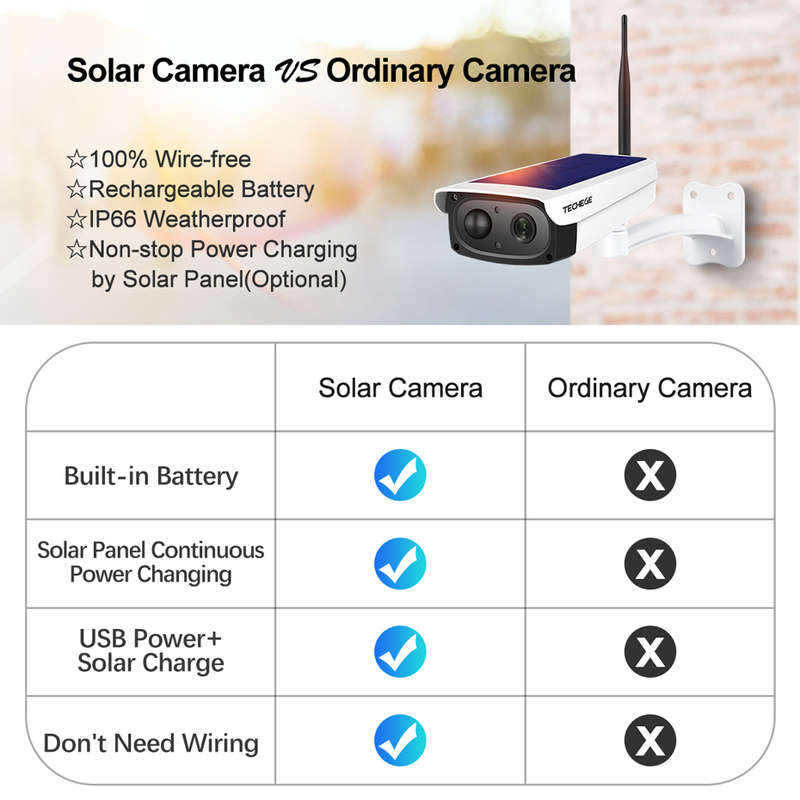 The camera has a built-in battery(Rechargeable battery, long standby) , it can use interface power charge + solar power supply, don't need the worried camera power, don't need wiring. Scan QR-code to add this device, just need 3-seconds, so easy installation. Wireless network: 2.4GZIEEE 802.11B/G/N, don't support 5Ghz wireless network! Storage function: support MICRO SD card storage, 8-64G（Product does not contain card）. - Support for local memory card storage up to 64G micro SD card. 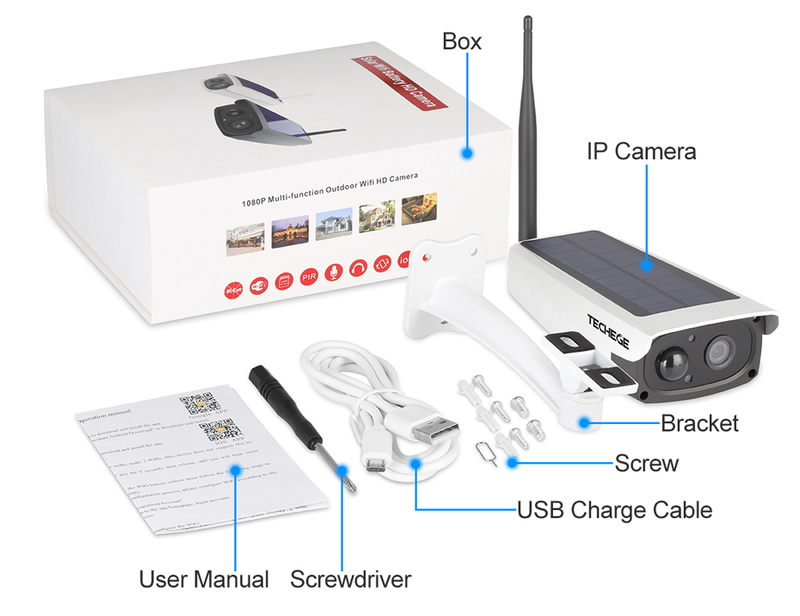 - HD 1280 * 720P video recording, making the image clear and missing no details. - Built-in microphone and speaker for two way intercom in the app, speaker and hear each other, perfect for taking care of you and the elderly.